Hello! 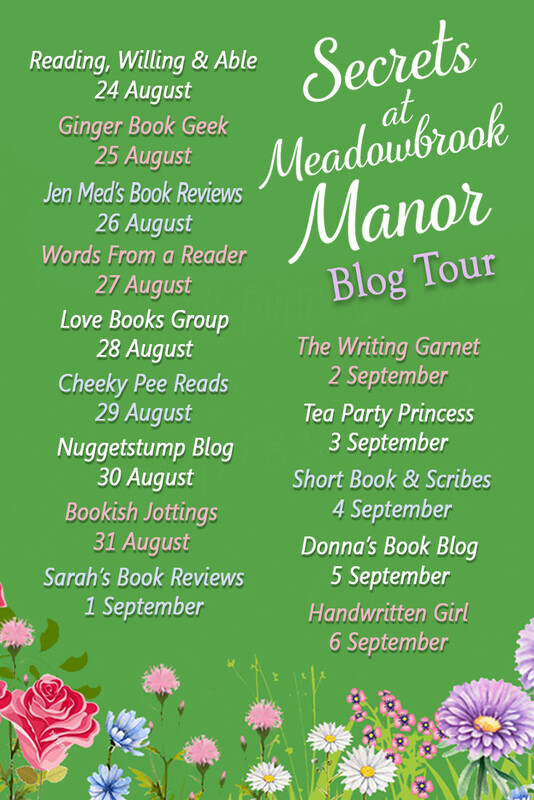 I am back with an extract from Faith Beasdale’s newest book ‘Secrets at Meadowbrook Manor’. When writing about any romance in my novels, creating the character of the hero is definitely one of the most important parts. I need to create a man that your heroine will fall in love with, the readers will be rooting for, and everyone will be swooning over. But at the same time the hero has to be real and believable. Therefore I can’t just create my perfect man – one who is gorgeous, kind, funny, intelligent, tidy, likes clothes and shoe shopping, has impeccable taste in jewellery, cooks, cleans… you get the idea. Despite that, for me this is one of my favourite components of my fiction journey – writing Mr Right. My romantic hero has to be interesting and three dimensional. There is no point in just having the looks, if there is nothing to back it up. No self-respecting modern day heroine will fall for that. I like my hero to be flawed, although not terminally so. It’s never just about looks, his personality shines through, but he is not perfect. His imperfections can be irritating but also endearing. He might have a particular foible – in my last book the hero was a little insecure, and also more interested in rescuing animals than maidens. It made him who he was, a compassionate, sweet, kind person who was good-looking but not vain, a little scruffy, untidy and disorganised but, with a heart of gold. My next hero is a little bit naughtier, fun, a bit of a teaser, likes to party and who is a little lost, but who has lots of love to give. No one is perfect after all, so what I try to do is come up with someone who is perfect for my heroine. Perfectly imperfect, perhaps. When I’m thinking about all my characters I really try to get to know them. I know what they look like, what music they listen to, what clothes they would wear and what irritates them the most. I know the names of their pets, what their childhood was like and what their hopes and dreams are. Even if I don’t write about all of it, I know them inside out, so that hopefully comes across on the page. My Mr Right becomes real, is real. I can see him, I hear him talk, I know his laugh, and what makes him laugh. I also know what he would order in a restaurant, his perfect holiday destination, where he would take a woman on a first date and what books he reads. I fall in love with him a bit, and when I finish writing it’s a little like a break-up, I miss him – I eat ice- cream and then go straight out on the rebound with my next hero! Want to check out more of my book posts?